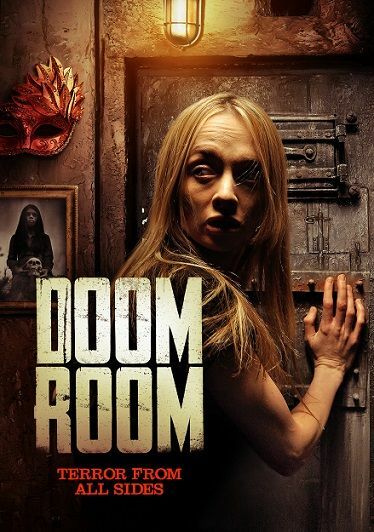 DOOM ROOM, the latest film from filmmaker Jon Keeyes (THE HARROWING), starring scream queen Debbie Rochon, hits VOD January 15. Comments: A beautiful woman wakes up in a weirdly decorated room. The room’s items are strange and the other woman in the room is a mystery. The knocking is a scary thing whenever you hear it your heart will jump. There are more people as well or are there? The characters are unique as is the story here which there is not much of one but that works so well. What is going on here is a mystery. The woman we see has no memory before being in this room except for short flashes. This is a twisted movie that will have you thinking and wondering. There is obvious sexuality in the movie. The sound effects are so different. The acting is excellent it will hold you spellbound. The woman does remember. Her memories are of an awful event. The ending is not totally unexpected but it is surprising still. Debbie Rochon does delivery a wonderfully disturbing performance as the Wife.